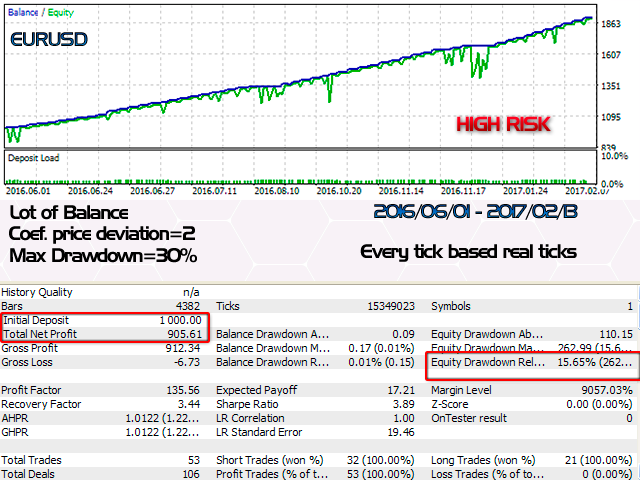 AntiTrend Deviation is a MetaТrader 5 trading robot. Trading is based on the principle that the price has a wave nature, and it is often confined within a certain price range, which it may leave, but often returns to it. 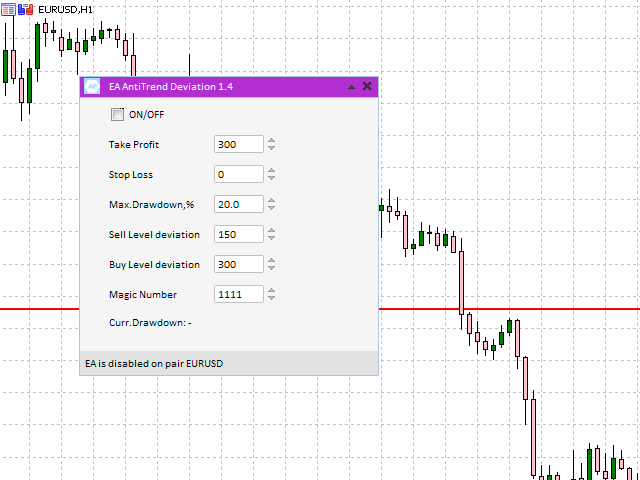 This EA determines the moments when the price leaves a price range and, under certain conditions, opens a trade against the current movement and closes it when the price returns to the price range. 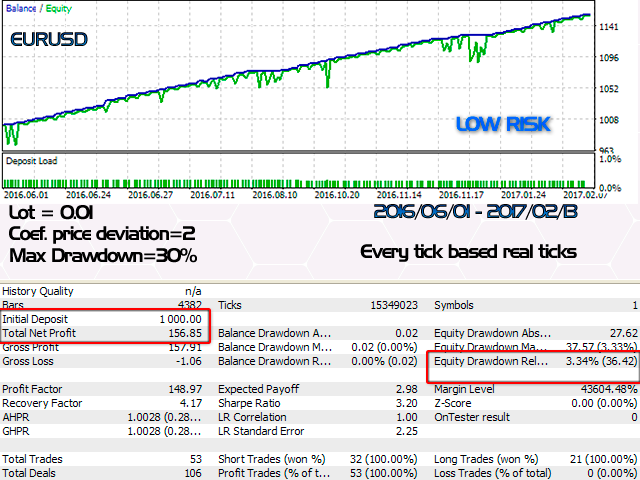 The good results are achieved on EURUSD. Do not overly decrease or increase the value of Max. Drawdown. Especially when the EA works on multiple currency pairs. The recommended value is around 30%. - Update for the current build of the terminal.